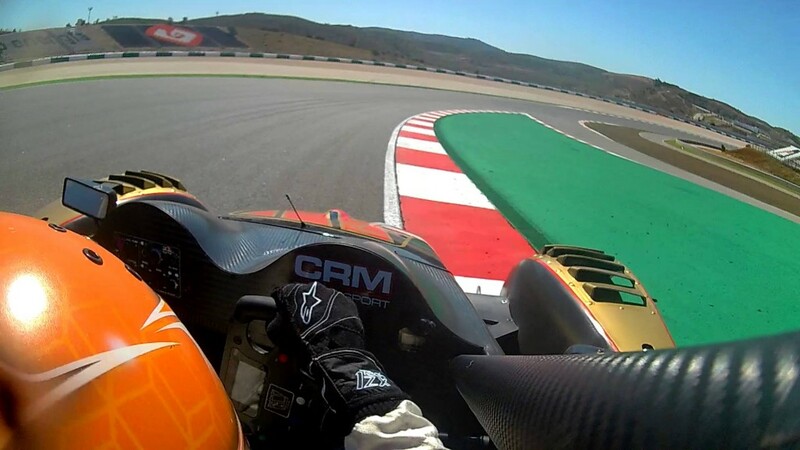 The 9th of July finally the two brothers were reunited to test their Wolf GB08 in Portimao, at the International Circuit of Algarve. The test allowed the twins to test and balance the car for the next event, that will be held in the same circuit next week. Since the circuit is incredibly fast, it was imperative for the team to work on the rear wing and bumpstops. The final corrections involved also the damper settings in order to cope with the circuit bumps, especially in the straightline and on the last corner, that was impressive for what regards the lateral acceleration. The twins said that this was the first time they felt physical effort due to the fact that the high lateral force was kept for long time during the last very fast corner, but they were pleased with the circuit, stating that it was like another Mugello, with plenty of up and downs and fast bends. Stefano let Nicola drive more since, due to his work committments, he was forced to skip all the events for this year until now. In any case both the driver had the opportinity to express their performance and feel ready for the next competition that will take place again in Portimao the next 20th of July.